I ordered a set of freeze plugs and some valve keepers from him a month back or so. Finally getting the motor put back together, and inventoried my parts last week. Well, I came up with only 15 valve keepers. I figures that I'd lost one while unpacking things, so I called Dad up to order a new one(and spares). Long story short, Randy shipped me two keepers at no charge, and he did it fast. Highly recommend giving him your business! Word, this guy knows the parts you will need and fills in the gaps so that you wont end up with less than you needed to finish the build. Interests:Type E Personality. Interest change when I get bored, (which happens easily). I bought timing kit, bsk, and freeze plugs from Randy. Got the sooner than I expected. Randy is the man for parts. Highly recommended. I've ordered twice from Randy(Dad). Both transactions were smooth and trouble-free. Quick shipping and packaged very well. I've ordered twice from Randy(Dad). Â Both transactions were smooth and trouble-free. Â Quick shipping and packaged very well. I think that the shipping part is exceptional. Everything I got, I got from him really fast, and everything was packaged so it couldnt be damaged... I am very happy with the few transactions between myself and Randy. Ordered a good amount of parts again from Randy I basically rebuilt the whole eng with over 75% of the parts supplied from them . In conjunction with my machinist here in Virginia I was able to finsish the whole rebuild Out and In in less than 3 weeks . I now own a 88 Fiji blue w 71K and a fresh eng thanks to everyone invloved. 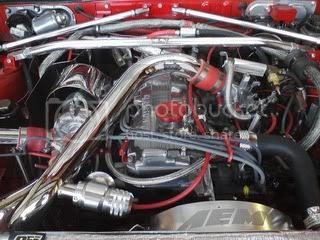 Ordered a Fel-Pro full engine gasket set from Dad aka Randy and wish I had ordered everything from him that I could. I called Thursday and parts went out thursday and were here in KY mind you on that Saturday. 2 Days is phenominal and he is a very nice person to talk with be it you, your mom, or anyone doing the ordering. Thanks again, can't say enough! Recently ordered even more parts and once again received the great parts promptly. He is a great seller. Great seller, fast turn around, couldn't ask for more except maybe more items to buy! 86 STARION LE - GIVEN AWAY!!! 85.5 QUEST - GIVEN AWAY!!! I ordered a front cover gasket set,oil pan gasket,and O-ring for the oil pick-up.All parts came super fast and everything I ordered was in the package,no forgotten parts here.Hats off to Randy. Rebuilt the entire bottom end of my engine, all new or machined parts. All parts came from DAD. He also got me an oil pump from another dealer to I only had to shop in 1 place. Got all the parts fast and well packaged. This is my forest, and I am not afraid. Ordered pistons, rings, bearings, BSE, Ajusa HG, headbolts, lower gasket kit etc.. All arrived in perfect shape..
2005 LS430-Staggered 20" Maya/Trafficstar DTS'~14k/12k Extreme Drop BC Coilovers~KYOEI-USA Representin...Bippu Status. Lots of free advice on the side too Great guy to deal with. Once again, I ordered more parts from DAD and received them promptly. The cylinder head parts were here in 2-3days. Thanks again!! Randy (DAD) got me everything I needed for my rebuild very quickly.